Last week, I bought a few music CDs. Like, CDs with music already on them. And not MP3s. I know, totally old school, but I’m an old school kind of guy. Anyway, a couple of them were from a band called A Perfect Circle which features Maynard James Keenan, the lead singer of Tool. I had never heard any music by this band, but I like Tool and Keenan has a distinctive and strong voice so I took a chance. But the band isn’t what this is about. The CDs I got were their first and second albums Mer de Noms and Thirteenth Step. On the back of the Thirteenth Step CD case, it says “Copy Controlled”, which I assumed was some technology to prevent people from making copies of the disk. It never occurred to me that this would prevent the tracks on the disk from being ripped by programs like iTunes, because everyone uses iTunes or Windows Media Player or something like that, right? I mean, considering the number of iPods and other MP3 players out there (recent surveys say there are approximately 4.23 gazillion of them), no record company in their right mind would knowingly put technology on an audio CD that prevented it from being imported into iTunes. Would they? Yes. Yes, they would. Neither iTunes nor Windows Media Player can read the disk at all. I can’t even play the disk on my computer. So now I have an audio CD that I legally own and yet I cannot listen to it on my computer or iPod. If I’m in the car, I could use the CD there (if it works on that player), but that means either leaving it in the car all the time or deciding in advance what music I’m going to listen to when driving. That’s a pain, and avoiding that is the reason I bought an iPod in the first place. I sometimes listen to music at work through my iPod, but this album would be unavailable. 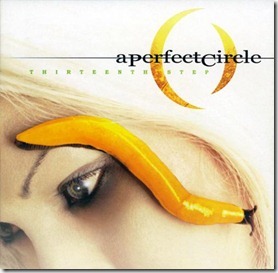 The other A Perfect Circle album rips and plays fine. Keenan’s voice is obviously a big part of it, but the songs are shorter than Tool, and a little more mainstream. There is far less ambient stuff – one of the songs on Undertow (a Tool album I also bought) (and successfully ripped) contains almost ten minutes of near-silence. But the band isn’t what this is about. So what are my alternatives? I’ve searched the internet and have found some instructions on how to rip such CDs, so I may try one of those. I could just buy the album digitally, but that means paying for it twice and since I haven’t even been able to listen to it yet, I’m a little reluctant to pay again. But there’s another alternative. I could probably search the internet and find an illegal copy of the album someplace and download it in ten minutes. Make no mistake, I realize that this is theft, but I already paid for the album, so the band / record company is not really losing out on anything if I download it. At least, I could use that logic to justify it to myself. 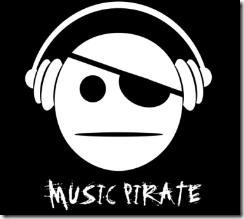 But I’m not a music pirate. I work in the software industry. The software package I work on is not a huge piracy target, but the concept is clear – people downloading SQL Anywhere and not paying for it are stealing from my company. Similarly, downloading A Perfect Circle would be stealing from the record company and, indirectly, the band members themselves. I’m also a little gun-shy. A few years ago, I downloaded some torrents of TV shows (just episodes I missed of CSI or something from network TV, not PPV or anything), and I got an email from my ISP saying “we’ve been told that you’re downloading copyrighted material. You’d better stop.” I did stop, and so if I decide to look for A Perfect Circle’s album online, I’m a little concerned that I’ll get caught and they’ll cut off my internet. So integrity and fear means that I probably won’t steal it. If the methods I’ve found of ripping the CD don’t work, I’ll probably just buy the damn thing online. I’ll grumble and I’ll complain, but I’ll fork over the $10. And I’ll probably buy their third album as well. But the thought of downloading a pirated copy of the album did cross my mind, and not just for a few seconds. I seriously considered it. The record industry is trying to prevent piracy, but the method they’ve chosen (this type of copy protection) is making a non-pirate like me consider stealing the album. They have taken a law-abiding citizen who is against piracy and turned him into a potential criminal. 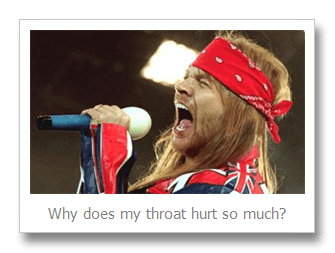 This entry was posted in Music, Tech on August 13, 2013 by Graeme. This is an actual conversation that took place at my house tonight. Note for the record that Nicky is 9 and has been playing the guitar for about a year and a half. Me: Nicky, can you practice your guitar please? Nicky: I can’t find my song sheet. It’s not in my book. We searched his room and the office for a while, no luck. Nicky: Can we look on the internet for the music and print another one? Me: What’s the name of the song? Nicky and some friends, when his hair was longer. This entry was posted in Funny, Kids, Music on January 26, 2012 by Graeme. The question that everyone has been wondering in the back of their minds for decades has finally been answered. What song has the most “na”s in it? And the winner is…. 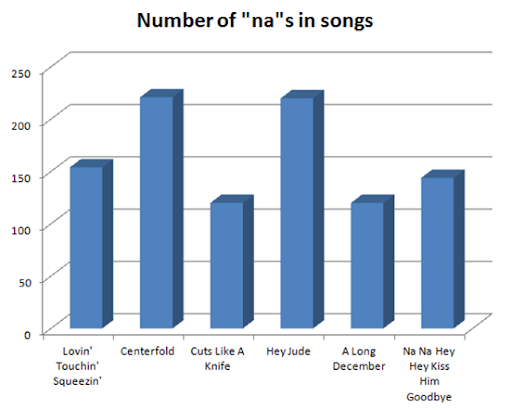 Centerfold by the J. Geils Band, which has 221 “na”s, one more than Hey Jude. No, I did not google this, I actually did my own research, as any good journalist would do. This consisted of listening to each song, typing an ‘x’ whenever they said “na”, then counting up the x’s. Why, how did you spend your Thanksgiving? This entry was posted in Music on October 14, 2011 by Graeme. CD Review: Paul Cusick "Focal Point"
The moral of this story: Sometimes you do get a second chance to make a first impression. While perusing ye olde Facebook back in April of 2010, I was shown an ad for an album by a guy named Paul Cusick. I have Dream Theater listed among bands that I like, and the ad said something like “Do you like Dream Theater? Check out Paul Cusick!” So for the first time in recorded history, I clicked on a advertising link on Facebook. It took me to his web site, and it turned out that Paul Cusick is an English multi-instrumentalist who had recorded a progressive rock album in 2009 called Focal Point. I’m a fan of progressive rock and I’m always impressed by multi-instrumentalists, so I figured what the heck. The album was available in digital-only format for about ₤5, which is less than $10 so I gave it a shot. Since the ad mentioned Dream Theater, I was expecting some pretty heavy stuff – but by the end of the album, I have to admit being a little disappointed. It was pretty good, but much of it wasn’t nearly as heavy as I was expecting. As a result, I might have listened to the album maybe once more over the next six months or so – every time I saw it in the iPod listing, I remembered “Oh right, that wasn’t very good, was it?” Then recently I gave it another listen but this time I kind of forgot about the Dream Theater link (which ironically brought this guy to my attention in the first place), and found that I enjoyed the album a lot more. No, this album doesn’t sound much like Dream Theater, other than the frequent time signature changes. But as I said, once I stopped the comparisons, I realized that this is quite a good album. Cusick is a talented musician with a quiet voice – no screaming here. He plays all the instruments except drums, and proves himself to be a good guitarist and bassist but particularly a keyboardist. There are a lot more keyboards than guitar on this album. The Dream Theater comparison didn’t work, but some tracks (Fade Away, Touch, Senza Tempo) remind me of Pink Floyd guitarist David Gilmour’s On An Island album. This is a good thing, as I love that album. Focal Point – Cool keyboard-based prog-rock instrumental track. Everblue – This song has a very full sound – it’s hard to believe it’s just one person performing this (other than drums). Yes I know how multi-track stuff works, but still. Fade Away – This ballad reminds me a lot of the Gilmour album. Soul Words – Funky song with some nice bass and guitar work. Scared To Dream – Starts off slowly with just piano and vocals and then the guitar and drums come in, but I like how he keeps the piano riff in the background. Very cool. Touch – Similar to Scared To Dream – starts off slowly, then gets faster. Great drums on this track. 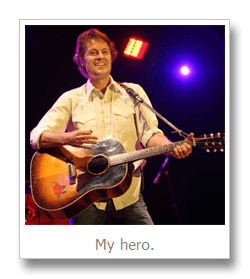 Senza Tempo – Paul found the guitar! There has been lots of rhythm guitar up to this point, but not much lead. This one is a very melodic solo guitar piece. Big Cars – Fast hard-rocking guitar track. No keyboards anywhere to be found. This one reminds me of Porcupine Tree. Hold On – Sounds like it was written to be a single. Not bad but not my favourite. Hello – Piano and vocals only. Slow and kind of haunting. Cusick’s second solo album, called P’Dice, is being recorded now and you can pre-order it here. The first 500 people to pre-order will have their names listed in the CD sleeve, and also get a “personalised limited edition postcard”. If you look, you’ll see my name there (along with “The Edge”! Is it The The Edge? I dunno), though there’s no release date or even an estimate. But I’m looking forward to hearing it. This entry was posted in Music on March 31, 2011 by Graeme. I am a huge Rush fan, and have been since the early ’80s. I had heard some of their songs on the radio, but my real introduction was the first side of Moving Pictures, which someone copied onto a tape for me. Tom Sawyer, Red Barchetta, YYZ, and Limelight. Four unbelievably fantastic songs, which I played over and over again. Imagine my surprise when, at least a year or two later, I realized that there were more songs on that album! And they were really good too! I eventually got most of their older albums as well, and I remember Signals being one of the most popular albums when I was in grade nine. Hearing the opening of New World Man still reminds me of early high school. I started to lose interest with the Grace Under Pressure album, and wasn’t too thrilled with the next couple of albums. It wasn’t so much that they started using more keyboards (Signals had lots of keyboards and I love that album), for me it was more that the keyboards seemed to replace the guitar rather than complementing it. I didn’t even buy Hold Your Fire (or Test for Echo) for many years, which meant that Rush had been removed from my list of auto-purchase bands – when a new album was released by bands on this list, I would immediately go and buy it, even if I hadn’t heard anything from it. Dream Theater has been on this list for years, and Linkin Park was, up until the most recent album A Thousand Suns, and now I’m not so sure about the next one. But I digress. Presto was pretty good, and rekindled my interest in the band. For Christmas, Gail bought me the DVD of the new movie Beyond The Lighted Stage, a documentary about the history of Rush. I have heard (on the radio and twitter) that even people who aren’t Rush fans are really liking this film, so I figured I would love it, since I am a Rush fan. I wasn’t disappointed. There was lot more footage and pictures from the very early years of the band than I would have expected, including video of early concerts at local high schools and such. There was even video of a teenage Alex Lifeson sitting at the dinner table at his house, arguing about why he should be going to school when music is what he really wanted to do. Why someone in his family was recording that conversation, I have no idea. I found it funny that to this day, Geddy and Alex still refer to Neil Peart (who joined Rush in 1974) as “the new guy” because he wasn’t there for the beginning of the band and didn’t appear on their first album. There was a fair bit of discussion on each album up to and including Signals. After that, they mentioned that Rush entered a period where they used lots of synths which nobody but Geddy seemed excited about, including many fans. They squashed the Grace Under Pressure, Power Windows, Hold Your Fire, and Presto albums into fairly one short segment, and I don’t think they even mentioned the names Grace Under Pressure, Hold Your Fire, or Presto. Roll The Bones and Counterparts were touched on briefly and Test For Echo was almost ignored before a section focussed on Neil Peart and the tragedies that befell him in 1997 and 1998. Within a year of each other, Peart’s daughter and wife both passed away, and Peart took several years off from the band to ride his motorcycle around North and Central America. (He wrote a book about this trip called “Ghost Rider: Travels on the Healing Road” which is now on my must-read list.) After returning, he had doubts as to whether he would be able to continue in Rush because he’d been away from the drum kit for so long. It seems amazing that someone as talented as Peart (widely regarded as one of the best rock drummers there is) could have such doubts about his own ability. A couple of people in the film described Peart as a perfectionist, so he’d likely be unhappy performing at 80% of what he used to be able to do – even though 80% of Neil Peart is still better than a large percentage of other drummers. They also talked about how private a man Peart is, and how he really doesn’t like meeting with fans who gush or fawn over him, and is uncomfortable with his fame (for reference, see the lyrics of the aforementioned “Limelight”). Neil, if you happen to read this, just know that I think you are an extremely talented drummer and lyricist and your music has meant a lot to me over the last thirty years. And I promise that if I happen to see you at a restaurant or store or something, I will leave you the hell alone. Funniest scene: Alex and Geddy are sitting in a diner (the scene looks pretty recent, i.e. 2005-2010 time frame), and the waitress recognizes Geddy. She said that her son or nephew or something is a big fan, and asks if he can give her an autograph. He says sure, and she basically elbows Alex (who she obviously does not recognize) out of the way to give Geddy something to sign. Geddy asks if she wants Alex to sign it as well, and she just says “Thanks a lot” and walks away. Alex is laughing the whole time. A number of prominent musicians were interviewed throughout the movie, including members of Rage Against The Machine, Smashing Pumpkins, Dream Theater, Metallica, and Kiss, as well as musician / actor Jack Black. Sometimes Jack Black can be really funny while other times a little goes a long way, and I kind of found that here. A few interviews with him were fine, but I almost wanted to fast-forward over a couple. I guess it’s not surprising that I really enjoyed this movie, since I am such a fan of the band. But as I said, I have heard a couple of different people talk about how much they enjoyed the movie despite not being Rush fans. At least, they weren’t Rush fans when they started the movie. This entry was posted in Movies, Music on January 16, 2011 by Graeme.